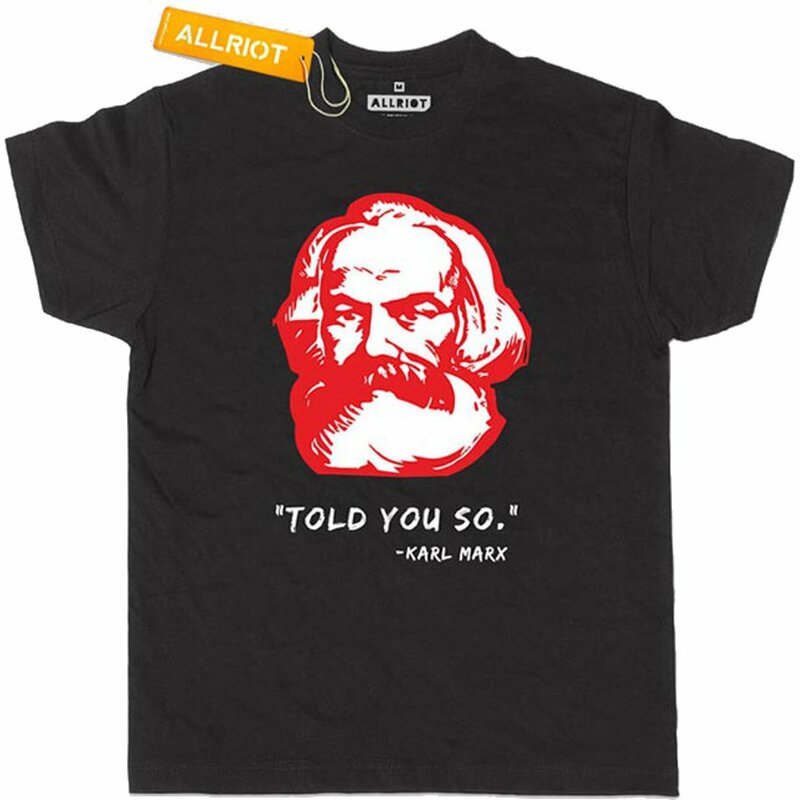 As part of All riot's “Thought Criminals” lineup, this witty marxist t-shirt is dedicated to the man with the 5-year plan and features an engraving-style print of his smug mug. 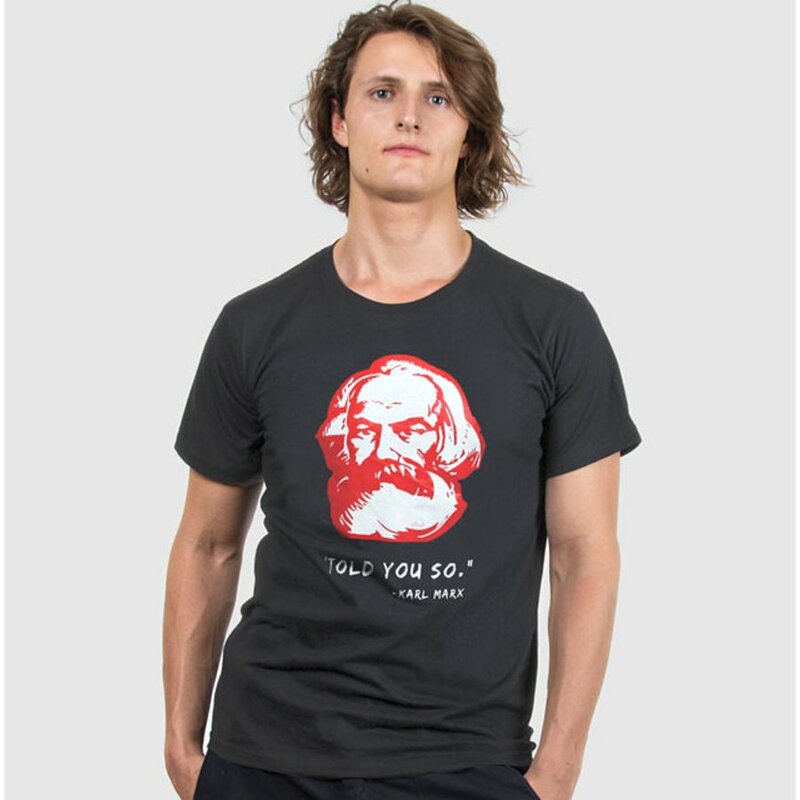 If only the Economists of Rabocheye Dyelo had quit bullshitting and realised what was to be done, we could have had Socialism instead of the scraps. 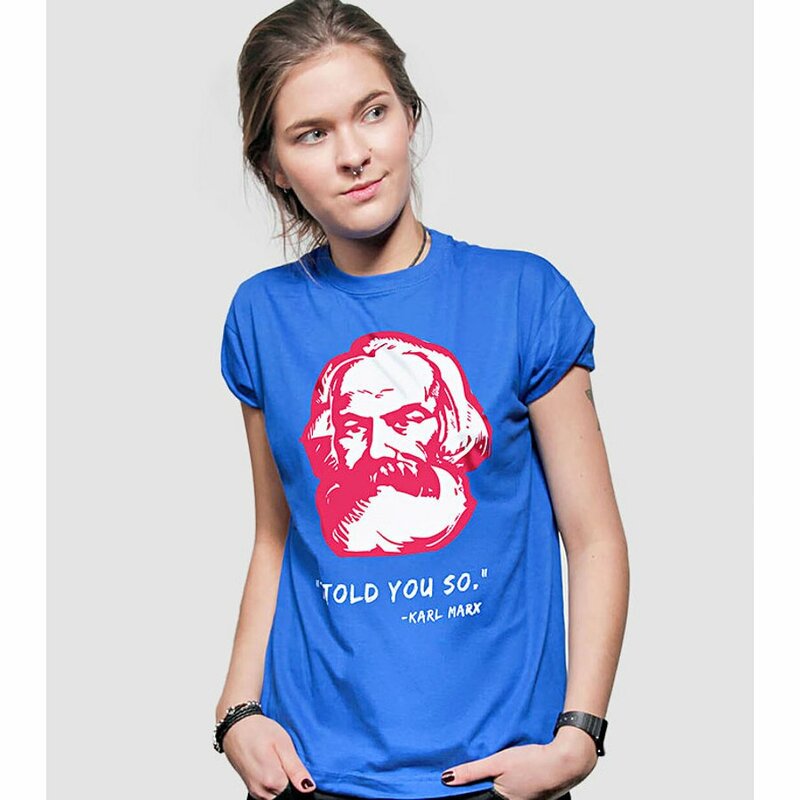 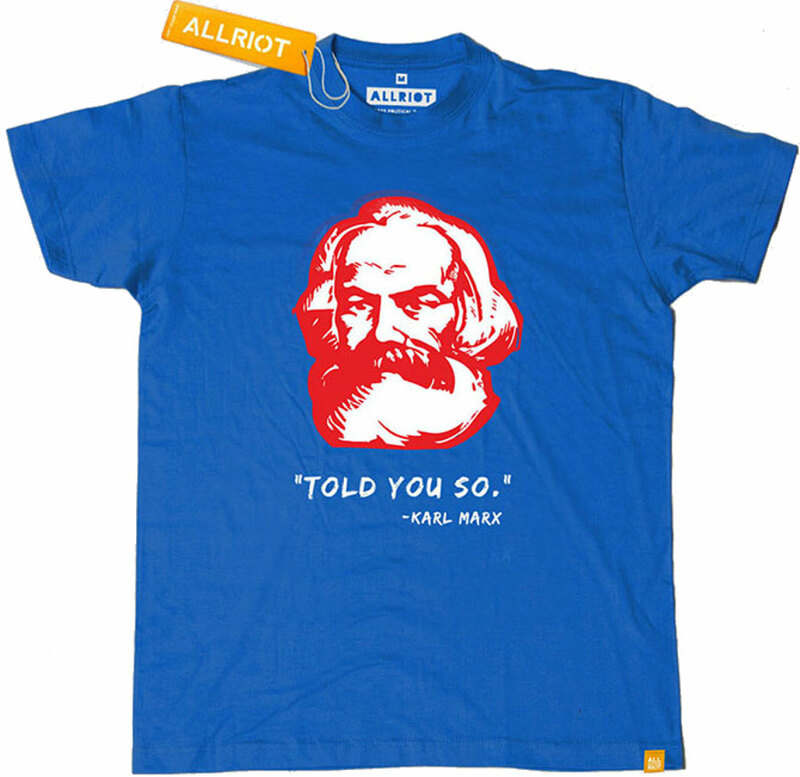 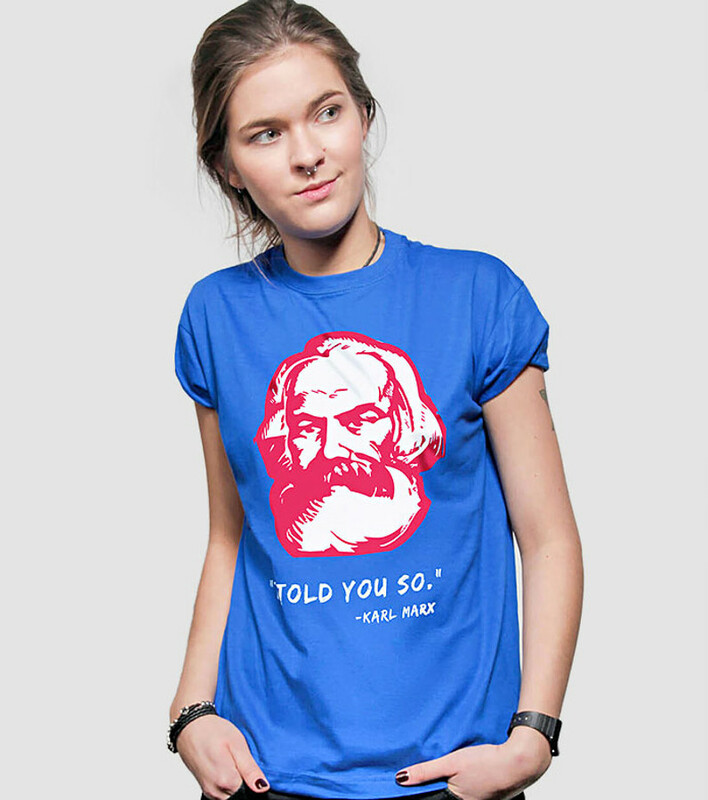 There are currently no questions to display about All Riot Karl Marx Told You So T-Shirt.